Fresh produce – ideally grown locally right in your backyard – is essential to a healthy diet, but with scores of people either lacking the space, time, or knowledge to cultivate their own food, for many that ideal simply isn’t attainable. Enter French company Myfood. They aim to bring food production back home, and they’re doing it with smart solar aquaponic greenhouses. These groundbreaking greenhouses, which are small enough to fit in a yard or even a city balcony, can produce 660 to 880 pounds of vegetables every year. Myfood is pursuing the vision that everyone should be able to grow their own produce locally. 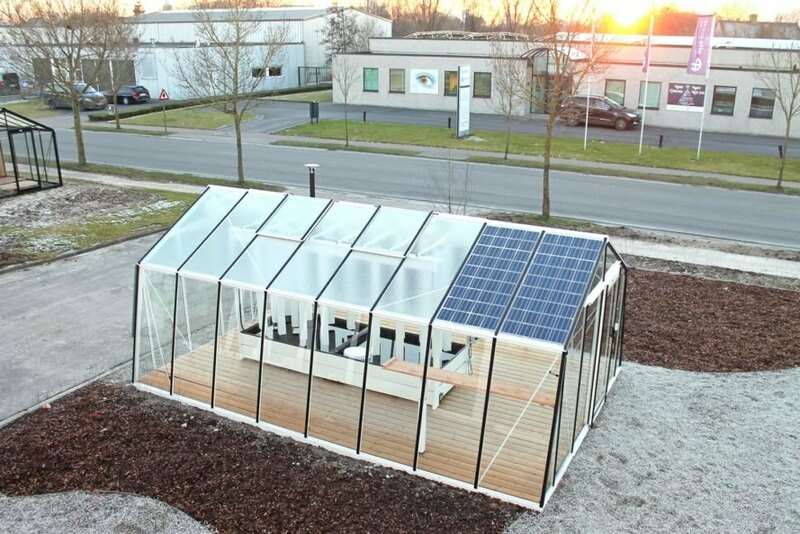 To that end, they’ve come up with small family greenhouses powered by the sun that can function off-grid. 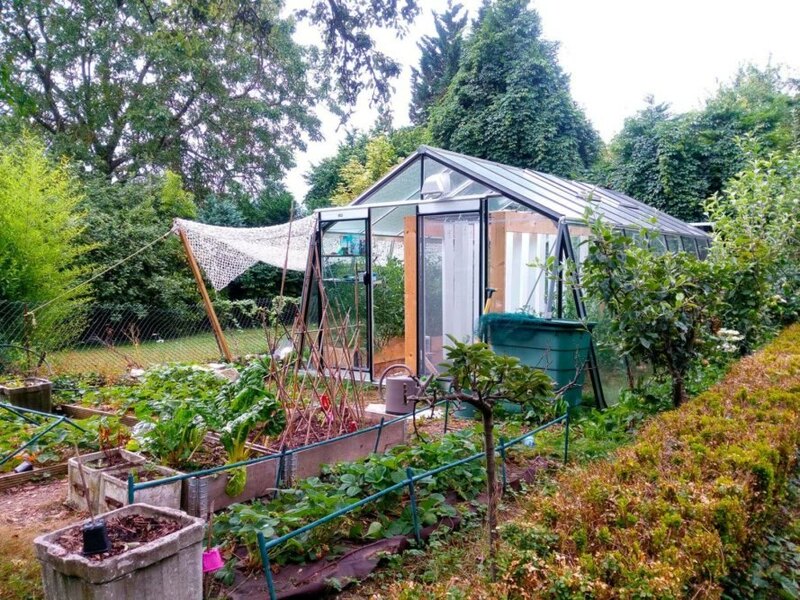 Their Family22 greenhouse is 22 square meters, or around 237 square feet, and comes complete with solar panels and a rainwater collection system. Their model City offers a smaller option for those residing in busy metropolises – it’s just 38 square feet. Both models can be installed above ground, making them suitable for backyards or rooftops. Inside the greenhouse, fish swimming around the base of vertical towers fertilize the vegetables growing – no synthetic fertilizers or pesticides needed. Inspired by permaculture, the team also developed raised beds that can surround the greenhouse for added food production. Ultimately, after several months, the beds become self-fertile. The greenhouses are intended for everyone from seasoned gardeners to people with zero gardening experience. Often one barrier that stands in the way of home food production is a lack of knowledge, so Myfood makes it easy for anyone to get started growing their own food through their smart structures designed to control the climate to guarantee success, according to Myfood. The team’s app enables families to remotely monitor the greenhouse. Myfood recently unveiled what they described as the first European line of smart aquaponic greenhouses at the Paris International Agricultural Show 2017 during February 25 through March 5. In France and Benelux, a City model costs around $4,820 and the Family22 around $8,577. Those figures include installation, delivery, and tax. Outside the European Union costs are slightly different; not including installation, delivery or tax, the City is around $3,569 and the Family22 is around $6,432. You can find out more on their website here. What is the coldest/hottest temperature are they rated for? Fresh produce - ideally grown locally right in your backyard - is essential to a healthy diet, but with scores of people either lacking the space, time, or knowledge to cultivate their own food, for many that ideal simply isn't attainable. Enter French company Myfood. They aim to bring food production back home, and they're doing it with smart solar aquaponic greenhouses. 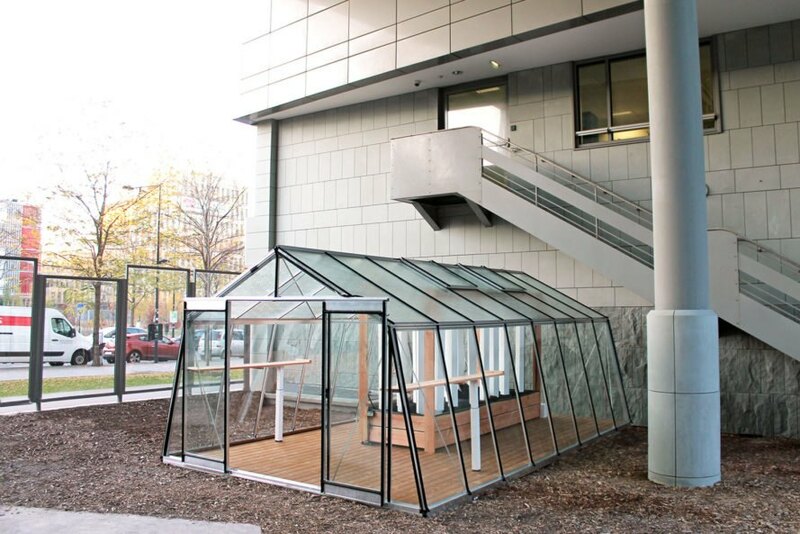 These groundbreaking greenhouses, which are small enough to fit in a yard or even a city balcony, can produce 660 to 880 pounds of vegetables every year. Myfood unveiled their greenhouses at the Paris International Agricultural Show 2017. The greenhouses can function off-grid. 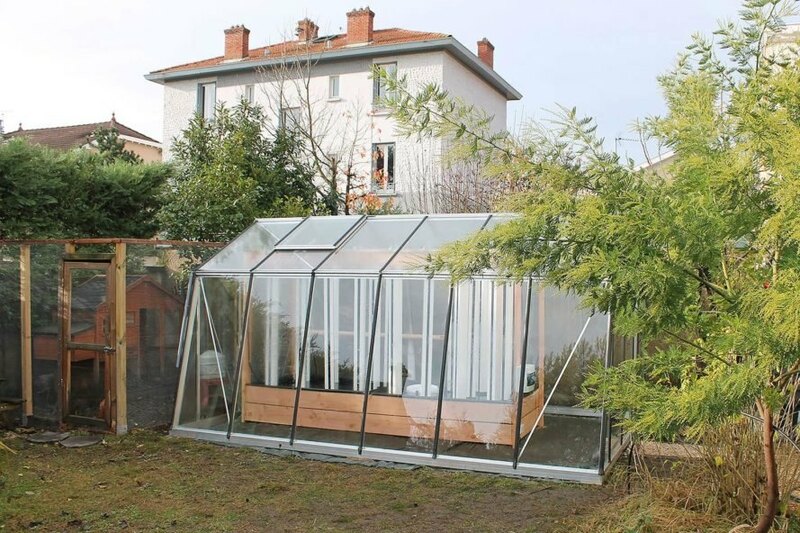 Myfood designed greenhouses in two sizes. The Family22 is around 237 square feet. The City is just 38 square feet. Since fish fertilize the greenhouses, the vegetables don't need pesticides or synthetic fertilizers to grow. The greenhouses are intended even for those with zero gardening experience. The Myfood team also created an app so families can check up on their greenhouses remotely.